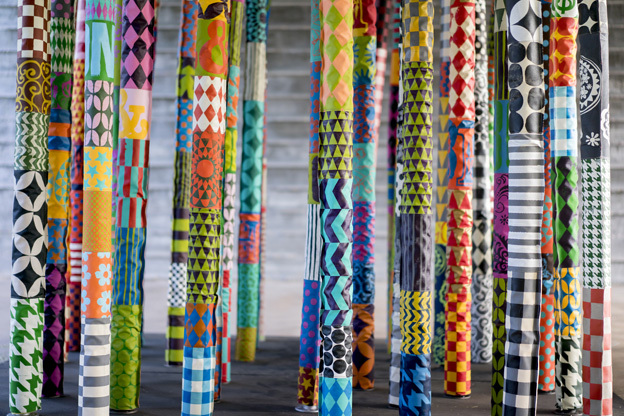 In this IN FLUX installation, Carefree-based artist, Kaori Takamura, repurposes unconventional materials to create a vibrant and playful yet dense bamboo forest in an unexpected place. 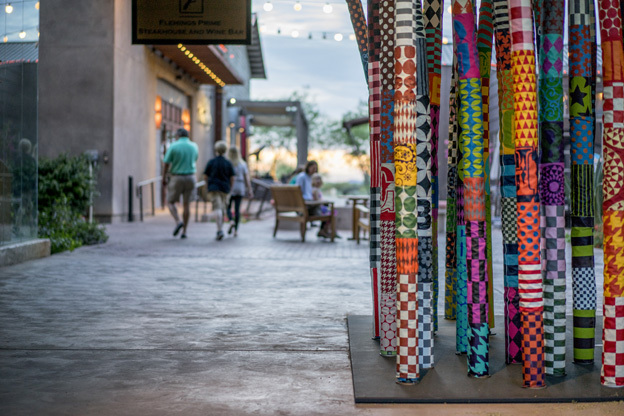 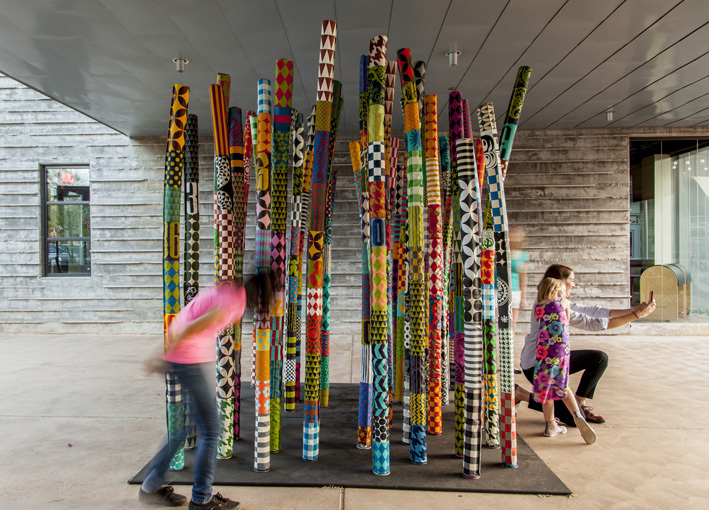 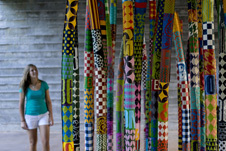 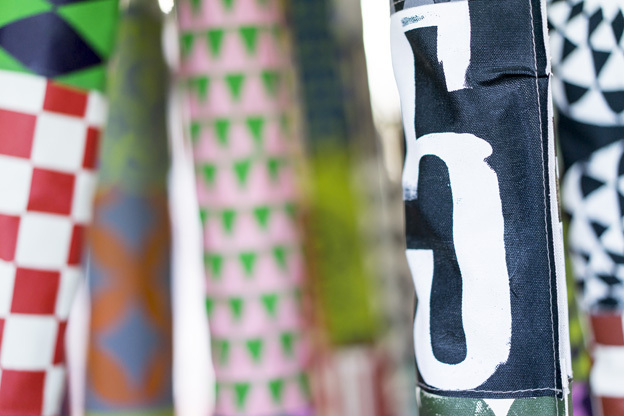 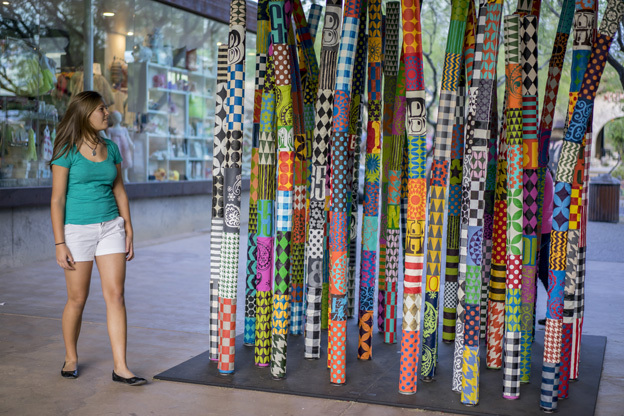 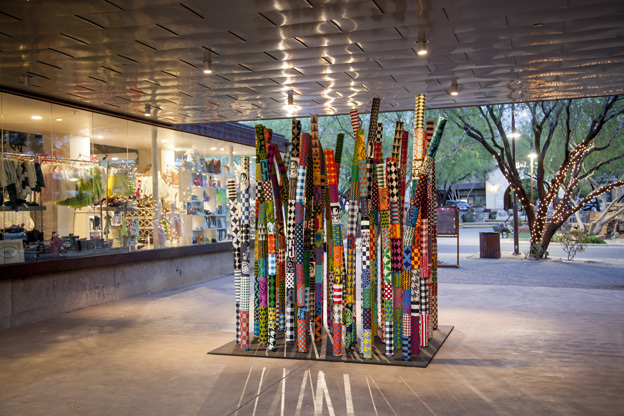 In Forest of Talking Patterns, each pole, composed of a series of brightly patterned, silk-screened canvas sections, seems to reflect the various moods and activities we experience on any given day. 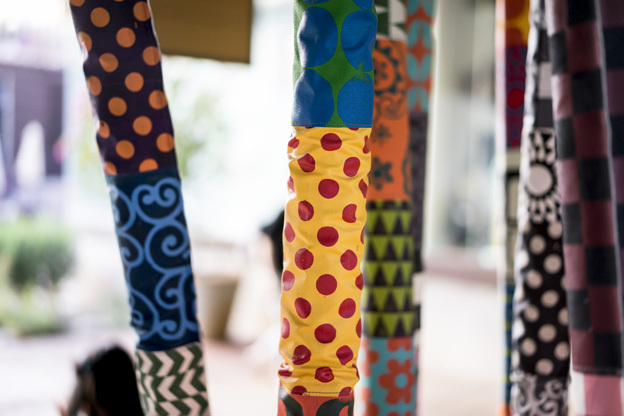 The exuberant array of colors and varying heights create the effect of a diverse group of talkative people, each unique in its own way, but with shared and complementary experiences.